Like a book by a new crime writer named Robert Galbraith? Well, JK! It was Rowling! Yep: J.K. Rowling has been publishing crime fiction under the pseudonym Robert Galbraith. 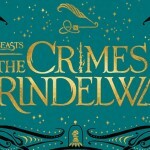 This is not a drill, guys: there is a new book written by J.K. Rowling available right now. You can have it on an e-reader, even, in a few seconds. 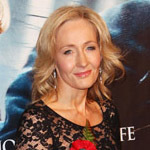 The book’s true author was revealed by a couple of independent linguistic experts, Peter Millican from Oxford and Patrick Juola from Duquesne University, who were commissioned to JKR’s published books as well as The Cuckoo’s Calling and some other detective books through a program that could detect similarities. “It was striking that the Cuckoo’s Calling came out significantly closer [in text comparison] to A Casual Vacancy and even Harry Potter and the Deathly Hallows than the other [crime] books,” Millican said to the Times. At the time, the rumors were quickly dismissed by her entire team, and later Rankin called it a joke that had got out of hand. The book was released in April and has sold 1500 copies. It has garnered extremely high praise, with a klatch of favorable reviews, including a starred one from Publishers Weekly and a “Mystery Debut of the Month” from Library Journal. It shares the same agency and editor, the latter of which is odd for debut author. Robert Galbraith, says The Cuckoo’s Calling’s author profile, “was attached to the SIB (Special Investigative Branch), the plainclothes branch of the Royal Military Police. He left the military in 2003 and has been working since then in the civilian security industry. The idea for Cormoran Strike [the book’s protagonist] grew directly out of his own experiences and those of his military friends who returned to the civilian world. ‘Robert Galbraith’ is a pseudonym.” The last line ignited a lot of curiosity about the hit book’s real author. “A remarkably assured debut,” said Owen Laukkanen. “Galbraith’s take on contemporary celebrity obsession makes for a grand beach read,” said Library Journal. The second book in the Galbraith series will be published next year. You can J.K. Rowling’s new book right now! We’ll keep updating this piece with info as it comes! Leaky alert: webmistress Melissa Anelli will be doing a reddit iAMA Q&A session on Wednesday July 17, 5pm Eastern. 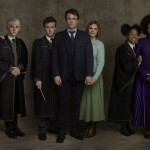 Chat about this news, Harry Potter, LeakyCon and more.